Last week we released the behind-the-scenes video for THE BOX, 8ninths’ fully interactive Virtual Reality (VR) experience. In it, a virtual “box” invites users to let themselves be whisked away into an intricate, simulated world. Each “box” holds a novel, self-contained experience that can be enjoyed and revisited from the comfort of home. The idea for this concept came from our desire to create immersive virtual gifts meant to be shared among friends and family. Short-form, interactive VR will likely become one of the most important ways to distribute content on this relatively new platform. Rich content in this format can be designed to elicit excitement and interest from sophisticated VR users, while still being short and intuitive enough to be accessible to new VR users. Building short-form experiences is also ideal for developers. By decreasing the amount of time needed to create, test, and iterate each new product, they can focus on producing fresh content regularly. It’s easier to roll out prototypes and improvements, refine them over time, and gain a better understanding of what resonates with users. In the first concept for THE BOX, 8ninths created a winter-themed scenario that transports the viewer to an enchanted paper forest. The viewer begins in an empty room with a single box placed on a table. Upon interacting with the box it falls open to reveal an array of delicate, almost magical floating objects. As each object is touched, additional elements are added to the scene, revealing the box’s secrets one-by-one until the viewer is left standing in the middle of a completely new environment. Finally, it unfolds to become a snowy, star-filled landscape centered around an open fire that attracts a friendly mother bear and her cub looking for warmth. For companies who wish to experiment with translating their branded content into immersive short-form media, THE BOX provides an ideal way to get their feet wet. The “box” could be tailored to deliver an experience that communicates a unique concept quickly and easily. It could be anything from a climb up the slopes of a mountain or a vacation to a beautiful deserted island, to a seat in the front row of your favorite designer’s Spring fashion show. 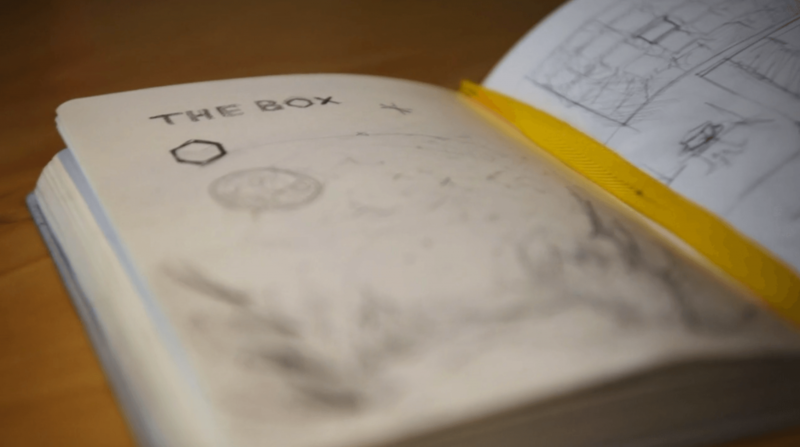 In a platform dominated by games and cinematic videos, THE BOX offers something different: a few moments to rediscover a sense of wonder, in a short, easy-to-absorb experience.